ANDREA CROVETTO, CEO and co-founder of Epic. From 2009 to 2013 he served as General Manager of Banca Finnat. From 2005 to 2009 in Intesa SanPaolo Group, first as CEO of Banca IMI and then as Commercial Director of the commercial banking division. 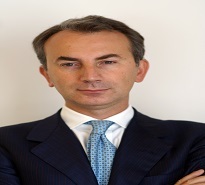 From 2004 to 2005 he served as General Manager in Banca di Roma. From 1998 to 2004 in UniCredit Grup as CEO of TradingLab Banca and as Deputy General Manager of the retail bank. From 1990 to 1998 he worked in Citibank investment banking.